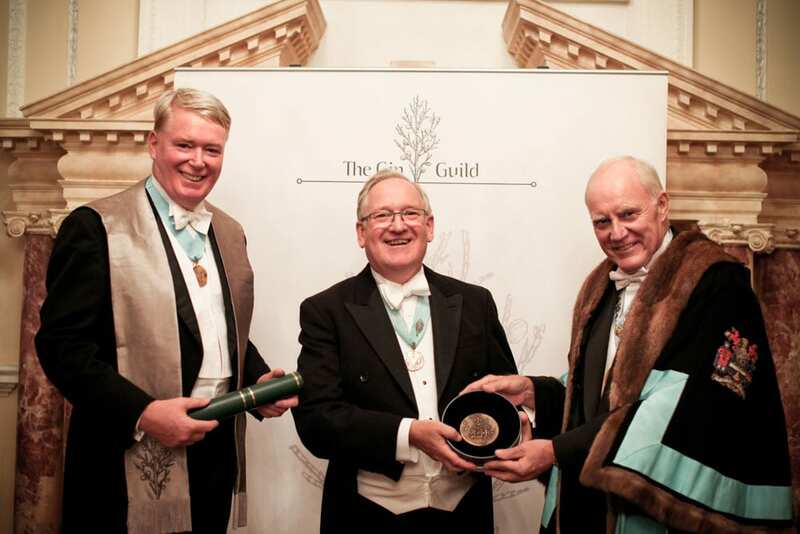 On Friday evening (16th October), Desmond Payne, creator of Beefeater 24, was presented with a Lifetime Achievement Award at The Gin Guild’s Annual Autumn Installation, in celebration of his outstanding work and success in the industry. This prestigious award, which has only been presented to two other industry figures in the past three years, was awarded to Desmond during the bi-annual banquet, by the Master of the Worshipful Company of Distillers, Allan Cheesman, and The Gin Guild’s new Grand Rectifier, Martin Riley, at Mansion House. 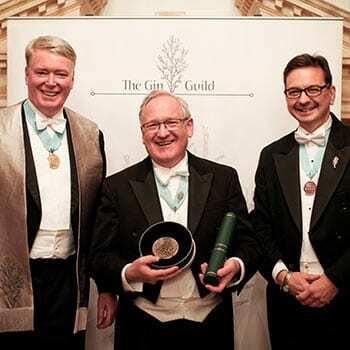 The Gin Guild also welcomed its new Grand Rectifier, Martin Riley, who will serve in that position for two years. Martin Riley has been involved in the spirits business for all of his career. From 2009 he was Chief Marketing Officer for the Pernod Ricard Group, responsible for overseeing the marketing of all the Group’s brands, including Beefeater and Plymouth Gin. The evening also saw 21 industry experts become members of The Gin Guild, including distillers, producers, suppliers and brand owners from the UK, Canada, Spain, Mexico, Germany, Holland, Liechtenstein, Norway, and included installing the first Warden Member from America. The Grand Rectifier of The Gin Guild, Martin Riley, installed the new members as they took a solemn oath, before each receiving a sterling silver pin in the form of a sprig of juniper to signify their membership. As always, it’s incredibly positive to see so many new members welcomed into The Gin Guild, especially as we’re seeing a real variety in those that are expressing a fascination with gin and wanting to be part of this exciting movement, both UK and internationally. During the Installation, both Eugeni Brotón, the Global Marketing Director of González Byass S.A, the proprietor of leading brand London No. 1, and Stephen A Gould, the proprietor and distiller of Golden Moon Distillery, became Wardens of The Gin Guild. I am extremely proud to have been selected as Grand Rectifier at this year’s installation. After spending a considerable time working on gin brands throughout my career, I look forward to making my contribution and helping to build on the momentum of The Gin Guild. These are great days for gin. The members of the Gin Guild are helping to create excitement for the category through their expertise, energy and enthusiasm, in the UK and throughout the world. The Gin Guild’s next installation event will be held at the Savile Club, Mayfair, London on Thursday 26th of May 2016.